Our latest collaboration with W. W. Norton & Co. has hit the shelves and we’re excited to have yet another reason to challenge the common misconception that textbooks are boring. 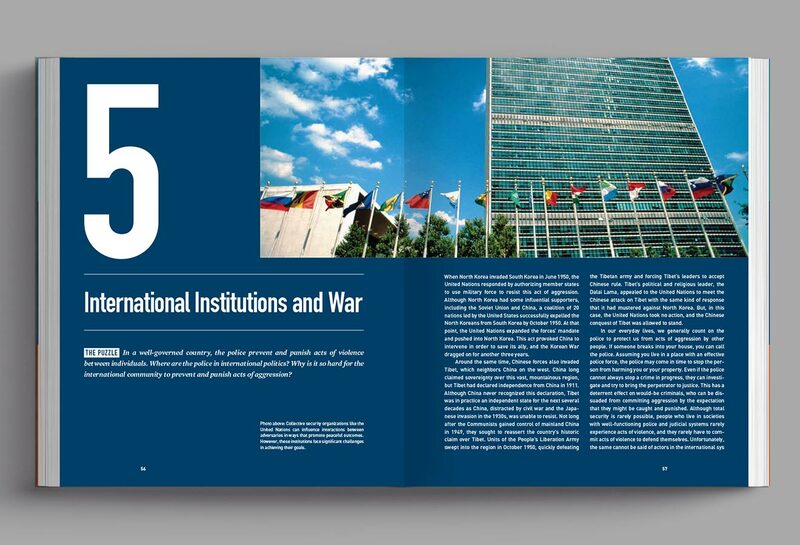 The third edition of World Politics: Interests, Interactions, Institutions is a complete redesign of this college-level volume, including a sleek and modern interior and a brand-new suite of maps and information graphics. Why are there wars? Why do countries struggle to cooperate to prevent genocides or to protect the environment? Why are some countries rich while others are poor? Organized around the puzzles that draw scholars and students alike to the study of international relations, World Politics gives students the tools they need to think analytically about the field’s most compelling questions. Find out more (and maybe even purchase your own copy) at W.W. Norton.